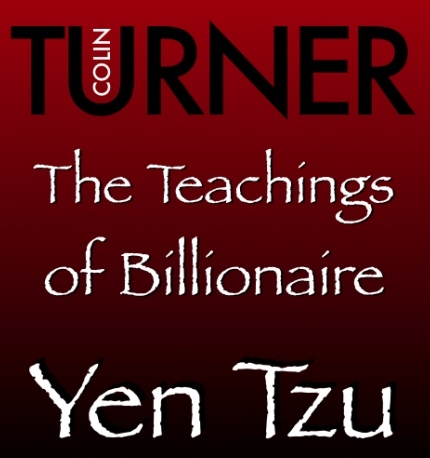 The international Bestseller containing Lessons revealing a wealth of esoteric secrets, enlightening stories and practical wisdom explained within The Teachings of Yen Tzu that will develop every area of your life. There was once a man who everyone in the village disliked because, although rich, he was miserly. Resenting the fact that no-one would take him at his word he went for a walk. After a short time a downpour of rain started and the rich man had to take shelter quickly under a big tree. At the other side of this tree was a pig and a cow who were in conversation. ‘By the beard of my ancestors,’ said the rich man to himself, and from that moment he changed. •	Self-Reliance is an attribute coveted since ancient times. Being an individual and standing strong is a favoured theme in our culture, and we achieve this state because others helped us to become self-reliant through the lessons and blessing their lives bestowed on us. Whatever we have of any true worth, is because others have served us and we have served them. Being a parent is a worthwhile enterprise, even if it appears thankless. •	However scarce is the daily support, thoughtfulness, discipline and teaching we received from others throughout our lives, they have indeed helped to build the sum total of our experience to date. And it is our experience that remains unique to us. Whenever we hold back that which we have gained through the flowing interaction with others we are effectively hoarding. •	The root meaning of affluence means ‘to flow to.’ Conversely, hoarding means to keep contained. Money is a form of energy, a currency that needs to flow and, like blood, it must flow or it begins to cause serious damage. It flows most effectively when the life energy we exchange for it is in the form of service to others. Every relationship is one of give and take, but it is the intention behind it that is important. Whether it is money, the most recognised measure for service, or compassion, love and friendship, the rewards depend on how unconditionally it is given. Whenever something is given conditionally, the person receiving it subconsciously registers this and the strength of a relationship is affected accordingly. •	Because the movement of everything in our external world is done for some consideration or other, it is important for us to choose who we want to do things for, what we want to do things for, and why we want to do the things we do. If we do not address these questions then the growth of resentment within us is inevitable. •	That is why most people, when faced by a resentful person, either get resentful themselves or try to lower the other person’s resentment through appeasement. Both responses are wrong and certainly not conducive to reaping strong relationships. The key is to discover why we allow the resentment of another to affect us, and why we may feel resentment for another. For in doing so, we can become free of it. •	The rich man was operating under the misguided belief that in promising others something in the future, he could receive their friendship now. But this is the ‘someday I will’ syndrome, which is strong in word but always non-existent in deed. Building relationships requires current and consistent actions. Writing a letter to someone because we want to; making a phone call or visit because we want to; and giving, selling or serving because we want to, is the only nurturing that is worthwhile. •	Whatever we do comes back to us. If it does not come back from one side, it will come back from another. Suppose, for example, we hurt the feelings of someone junior to ourselves by speaking rudely. Because we consider them subordinate, we think we are quite safe and no harm will come of it. But subconsciously our mind is affected by the insult impressed upon it. We carry that impression with us to whomever we meet, where it brings out the same insulting tendency of the person with whom we come into contact. The element attracts the same element, our coldness attracts their unkindness. We may indeed meet and deal with people who cannot insult us because their situation makes it impossible, but when we meet someone who can do so, the experience will be different. •	The manner in which we treat the person behind the desk should be in no way different to the manner in which we treat the person in front of the desk. The view that we are all important customers and valuable suppliers to each other, must be the norm if we are to adopt the emerging values of respect for people and customer care. Allowing them to be simply statements of intent, produced by change initiatives to support erstwhile missions, is surely the height of insensitive arrogance. •	Whatever fortunes we are capable of making will most assuredly come from chasing our passion, not our pension. To be motivated to give better performance and service than we are ever paid for will ensure that our commitment and dedication will always be sought after. Knowing that our missions and goals can only be fulfilled through our uncompromising service to others means that we can pursue what we are passionate about, rather than the money. •	Many young people commence their careers by trying to get the highest paying job possible, regardless of the industry, opportunity, service or product they have to provide. But when we chase money and success in this way we will always be its slave, waiting for the next deal. Alternatively, by doing only that which we feel passionate about, which we love doing and where we are prepared to deliver more than we promise, then the money will chase us because we will always be in demand. •	The four fingers of commitment, passion, co-operation and dedication are inevitable clasped together into a fist of success by the thumb of service.